The accredited Level 6 Diploma in Public Service Interpreting (DPSI) is recognised and accepted across the UK by interpreting agencies and clients. It allows access to the most sought after interpreting assignments in the UK. This is an entirely on-line course, that you can study in your own time to help you to prepare for a DPSI examination. The total cost of the course including all of the required materials and resources and is priced at £299 (incl. VAT). Simply click the ‘Get Started Now’ button below and complete the checkout process to order this course. When can I start? You can start today simply by signing up and making the payment. How long does it take? It usually takes 2-4 months to work through the content of the course. As this is self-led learning it is your choice how much time you spend on the course and how much time you spend studying the materials. Are there any requirements? To successfully join this course, you are advised to have native speaker competence in English and in your ‘other’ language. This course is not assessed. It helps to prepare you for the Diploma in Public Service Interpreting exam (paid for separately). The exam is offered once or twice per month and you can apply by clicking here. Full registration fee for all units is currently £699. Can I apply for funding or discounts? If you book for the preparation course and exam at the same time, you can qualify for a discount. Speak to the team for more information. How do I apply? You can get started with your qualification today by clicking the ‘Get Started Now’ button above and completing the checkout process. One of our team of experts will give you access to the course. Is this a nationally recognised qualification? 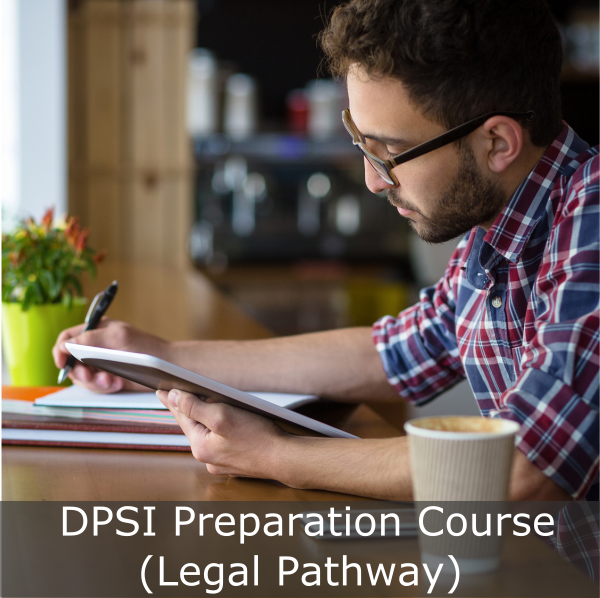 The DPSI is a nationally recognised qualification, however, this course is to help you prepare for the exam and is not a qualification on its own. What is the registration process? Simply click the ‘Get Started Now’ button above and complete the checkout process.